With all the new products coming on to the market it is increasingly difficult for professionals to fully understand what works and why. Let us start by analyzing ingredients, not products. Once you understand the action of each ingredient you can explore products that contain ingredients that work. On their own, even the most potent ingredients may not produce maximum results. They must be combined in proper, synergistic formulations with other specific ingredients that serve to enhance the effects of the product, and further, must be formulated in effective delivery systems. Melablock Complex – has been shown by clinical studies to be extremely effective at treating all non-hereditary types of hyperpigmentation, while being much gentler on the skin than Tretinoin and hydroquinone. It has been clinically proven to effectively treat many otherwise resistant cases of hyperpigmentation and is completely non-toxic with no negative side effects or down time. Melablock is effective on hyperpigmentation caused by environmental, aging and hormonal stimulations; medications, irritation and acne, and is an important viable alternative to Hydroquinone. Super Oxide Dismutase – one of the most potent antioxidants and also one of the most powerful sources of phospholipids. SOD is one of the body's first lines of defense, and helps fight against environmental and other toxic factors that can severely damage the skin. Essential Fatty Acids – some of the best skin corrective nutrients and inflammation fighters, inhibiting the creation of the free radicals that contribute to aging. They also have a remarkable toning effect on the skin. Generally marine based, omega fatty acids are concentrated in salmon and some botanical fatty acids. Beta Glucan – from the walls of organically grown yeast cells. It produces positive results to sun damaged, wrinkled skin and activates the skin's natural immune system, helping the skin regain its elastic firmness and smooth texture. Beta Glucan is a very powerful antioxidant & anti-inflammatory agent. Alpha Lipoic Complex – one of the most potent antioxidant and anti-inflammatory deep acting skin nutritive complexes, it is both lipid and water soluble, and can thus rapidly penetrate all portions of the cell. This action greatly enhances cellular energy and protects vitamins C and E at the cellular level. 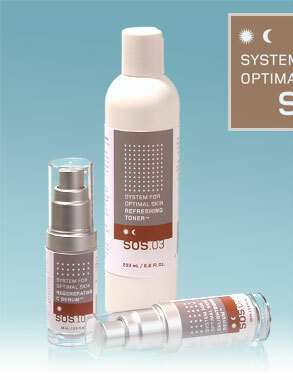 Alpha lipoic complex has been clinically shown to be a powerful therapeutic agent in the treatment of aging skin. Mandelic Acid – Accelerates cellular regeneration when combined with highly concentrated glycolic acid and highly concentrated lactic acid, which also has moisturizing properties. 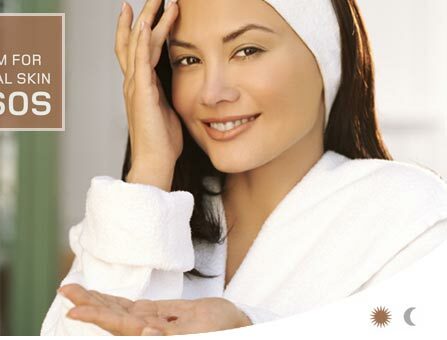 A mild bleaching agent on its own, when properly combined mandelic acid produces results on many skin types that have proven to be resistant to hydroquinone. Mandelic Acid is a form of AHA that is rarely used due to its prohibitive price, which is roughly 10 times the price of glycolic acid. Photolyase Liposomes – a type of liposome that assists in the reversal of sun damage. A study done at the University of Dusseldorf has shown that photolyase increases cellular immunity and helps the skin repair UV damage. Photolyase helps 'recharge", the cells' internal repair machinery after skin has been exposed to UV damage, enabling the cells' repair mechanism to do its work. Oligomers – Although technically not a high potency ingredient, they are very important as potent enhancers and stabilizers for delivery system agents. They aid in the absorption of other key ingredients and allow them to simultaneously perform both individually and synergistically. Magnesium Ascorbyl Phosphate (Vitamin C) – According to the Journal of the American Academy of Dermatology, magnesium ascorbyl phosphate is percutaneously (deeply) absorbed, and stays in the skin's cellular layers for up to 48 hours if formulated in a proper delivery system. This sustained continuous-action complex bathes the exterior wall and interior of the cell with active Vitamin C. Magnesium Ascorbyl Phosphate is not commonly used in skin care formulations as it costs 100 times more than L-Ascorbic acid. Even though these new ingredients seem to be the answer, without proper purity, combinations, potency and effective delivery systems, maximum results will still not be achieved.